on opposite sides of the world. Left to right: Afu Shuoguo and Hairi Wuzhi. Left to right: Reggie D. White, Hairi Wuzhi, Karma Mayet Johnson, Stephen Stocking, Erin Pettigrew, Dimu Weiwei, and Afu Shuoguo. Left to right: Erin Pettigrew, Zhu Tiantian, and Karma Mayet Johnson. Highlights reel of "Flood in the Valley" workshop performance presented at Jinsha Theater in Chengdu, China on September 1st, 2018. Two pairs of lovers on opposite sides of a mountain, both looking beyond their rural communities towards a world on the brink of change. In 1960s West Virginia, a young interracial couple struggles with whether to stand up to — and with — their community as it faces the prospect of a new dam that would flood their town. Meanwhile, in the hills of Sichuan province in the 1920s, a young couple belonging to the Nuosu ethnic minority are forced to part when a dispute erupts between their neighboring clans. A dynamic score of rhythm and blues, gospel, and rock as well as Nuosu and Cherokee traditional melodies weaves these two tales together, revealing a shared struggle – a struggle between individual desire and collective tradition – that echoes from valley to valley. The Chinese story is set in Liangshan, an autonomous prefecture in Sichuan, China. Literally meaning “cool mountains,” about half of Liangshan’s 4.5 million inhabitants identify as Nuosu. Significantly isolated from the rest of China until the 1950s, the Nuosu have a rich cultural and artistic heritage distinct from the Han Chinese majority. The American narrative is set in the Appalachian hills of Wood County, West Virginia. In recent decades, several Appalachian communities were flooded with the creation of man-made lakes, justified by the Army Corps of Engineers on environmental and economic grounds. Both Liangshan and Appalachia have been home to racially and culturally diverse rural communities for centuries. While distinct in many respects, both regions are known for a rich musical tradition featuring mountain hollers, mouth harps, flutes, and drums. Michael is an Obie Award winning director originally from Chevy Chase, Maryland. Michael's directing credits include I’ll Never Love Again (a chamber piece) by Clare Barron at the Bushwick Starr (Obie Award for Direction, 2016; NYT and Time Out Critics’ Picks), Cancer Cancer Cancer by Alexander Paris at Ars Nova AntFest, The Whore from Ohio by Hanoch Levin with New Yiddish Rep, How I Learned to Drive by Paula Vogel with Drum Tower West Theater in Beijing, Lost Tribe by Alex Borinsky as part of Target Margin’s Yiddish Theater Lab, The Subtle Body by Megan Campisi at 59E59 Theaters and the Shanghai Dramatic Arts Center, and other projects with New York Theater Workshop, LMCC, The Civilians, EST, and NYU/Tisch. Li Ting is a first level national playwright, and director of the Chinese Dramatist’s Association. She is a recipient of a specially awarded state allowance for accomplished artists and academics. Her international collaborations include We Once Let It Go with the West Yorkshire Playhouse in England and The Bridge Over the Three Gorges at the U.K.’s Briton Theater Festival. In 2014 she collaborated with a British choreographer to bring the original piece I Breathe to Avignon Theater Festival. Her major works in China include Future Unity, which earned the country’s highest prize for dramatic writing, The 29th Tree (winner of a national cultural prize), the opera Red Yi (winner of the Chinese National Opera Festival), Don’t Forget Abuluoha, Journey in the Autumn Leaves, The Farmer, Soul of Streams, and the musicals Burning Snow and Grass House. Dangqing is a composer and music producer. He is the Executive Director of Yousheng Music Production company. He has produced albums for notable musicians including Jiang Yang Zhuo Ma, Sun Lu, Tan Weiwei, Liao Chang Yong, among many others. He composed music for Yi Red, a large-scale Chinese folk musical in 2015. He served as Music Director for The 2016 13th Annual Sports Competition Opening Ceremony, Chengdu. In 2017 Liu received China Art Fund to produce music for the musical Silk Road Love Song. Liu sang in China Have Courage, Sichuan Get Stronger!, which commemorates the courage of those lost in the Wenchuan Earthquake. The song has been listened to by 10 million people. He is the CEO of Taoge China, a platform that promotes musicians through song production, copyright trading, artist brokerage, and event planning. Liu also serves as Vice President and Secretary of Sichuan Province Folk Music Association. Yilong is a New York-based playwright, born and raised in Chongqing, China. His work has been produced or developed at SPACE on Ryder Farm, CAATA/Victory Gardens Theatre, New Ohio Theatre, The Flea Theatre, Urban Stages, East West Players, Queens Theatre, WildWind Performance Lab, FringeNYC, Kumu Kahua Theatre, Union Theatre (London), and others. Awards include an EST/Sloan Project New Play Commission (Curb), Kennedy Center’s Paul Stephen Lim Playwriting Award (The Book of Mountains and Seas), Paula Vogel Playwriting Award (June is The First Fall), National Partners of the American Theatre Award for Playwriting (Joker), Po’okela Award for Best New Play (Joker), and an Asian Pacific American Friends of the Theatre Playwrights Scholarship. Currently, he’s a resident playwright in the inaugural SERIALS Writers Room at The Flea Theatre. Yilong received a BA in Chinese Language and Literature from Beijing Normal University and an MFA in Playwriting from University of Hawai’i. Korde is a playwright from Charlotte, NC. His work has been developed and seen at the Ojai Playwrights Conference, Roundabout Underground, 59E59, New York Stage and Film, the Obie Award-winning The Fire This Time Festival, The 24-Hour Plays: Nationals, the Obie Award-winning Harlem 9’s 48 Hours… in Harlem at The National Black Theatre, HomeBase Theatre Collective, and The Movement Theater Company. Korde is a recipient of the Steinberg Playwriting Fellowship, NYSAF’s 2018 Founders’ Award, 2018 Falco/Steinman Commission Award at Playwrights Horizons, 2018 Playwrights Initiative Fellowship at the Djerassi Resident Artists Program, and was selected as a finalist for both the 2017 Alliance/Kendeda National Graduate Playwriting Contest and City Theatre National Award for Short Playwriting Contest. Korde is a current playwright-in-residence at Lincoln Center Theater, a Resident Artist at Ars Nova, and is a Middle Voice Theatre Company member at Rattlestick Playwright’s Theater. His debut collection of haiku and photography, falling is the one thing i, was published by Candor Arts, in May 2018. Korde received his MFA in Playwriting at The New School. Martha and Aaron perform with a “band of NYC’s finest blues and jazz musicians” (Larry Blumenthal-Wall Street Journal). From humble beginnings in downtown NYC, to concerts across Native American communities for their Billboard Magazine acclaimed CD “Home of the Brave” the team has built a passionate and loyal fan base. Their album “Skintalk” is included in the Library Collection at the Smithsonian National Museum of the American Indian in Washington D.C. Commissioned by Joe’s Pub and the Public Theater in NY, the team’s newest work is Daughter of the Hills, a musical theater piece inspired by the lives of Redbone’s family in the coalmining hills of Appalachia. In 2017 the team have also completed commissions “Bone Hill: The Concert” for NY Voices/Joe’s Pub/Public Theater, "Plurality of Privacy" project for the New York Theater Workshop, and are contributing composers for "Primer for a Failed Superpower" directed by Rachel Chavkin. Redbone/Whitby are award recipients of the prestigious New England Foundation for the Arts Grant, National Performers Network Fund, Lincoln Center for the Arts and MAP Fund. Redbone is a 2015/16 Fellow of the Native Arts and Cultures Foundation. 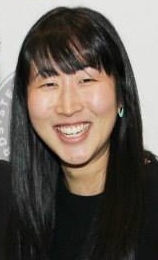 Jane Jung is a Manager and Producer for individual artists, artist-led companies, and theater projects, currently working with Director Kaneza Schaal, Ping Chong + Company, Writer / Performer Diana Oh, and Gung Ho Projects. From 2014 - 2017, she was Managing Director of The Civilians where she oversaw all administrative, fundraising, general management, and producing areas of the company. Previously, she was General Manager at Ping Chong + Company from 2010 - 2014. She has worked as a producer with Little Lord and the Women's Project, and produced new work that was presented at the New Ohio Theater’s Ice Factory Festival, The Public Theater's Under the Radar Festival, City Center Stage II, and the Bushwick Starr. She is a board member of Network of Ensemble Theaters and is on the Editorial Board of the Yale Theater Management Knowledge Base.